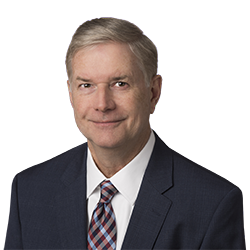 Daniel B. Boatright | Littler Mendelson P.C. Dan also regularly counsels employers in a wide range of industries on compliance with employment laws and provides management training on anti-harassment and other matters. He serves on the firm’s Board of Directors. Before joining Littler, Dan practiced employment law exclusively on behalf of management for 19 years. Prior to that, he practiced as an architect for two years. Can You Get Sued for Not Paying Four Days of $10 Minimum Wage in KC? The Recent Supreme Court Class Action Decision: We Know What It Says, But What Does It Mean? The Federal Tip Credit Under Fire: How Do You Properly Pay Tipped Employees? Privacy Practices: What Does My Knee Surgery Have To Do With My Lawsuit? Are Your Interview Techniques Impartial or Biased? You Can Use ADR for That? The New White Collar Exemption Regulations: Yes They're New, But Are They Improved?